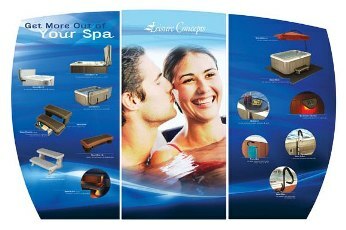 Leisure Concepts is the largest and premier manufacturer of cover lifts and spa accessories. Their commitment to excellence has made them the #1 choice for thousands of customers across the nation. Their full line of premier products filled a need then, and continues to fill that need today. With ten years of experience, they lead the industry with quality products that have stood the test of time. CoverMate is the industry’s #1 name in cover lifts adding ease and simplicity in the handling and storage of spa covers.